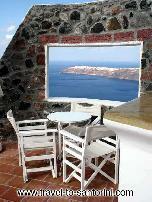 In Imerovigli, just outside Fira, the Santorini capital, Astra Apartments & Suites commands a compelling sea view. The horizon's line where the sea meets the sky becomes a natural backdrop for this dream vacation setting, perfect for the hopeless romantics and luxury lovers. 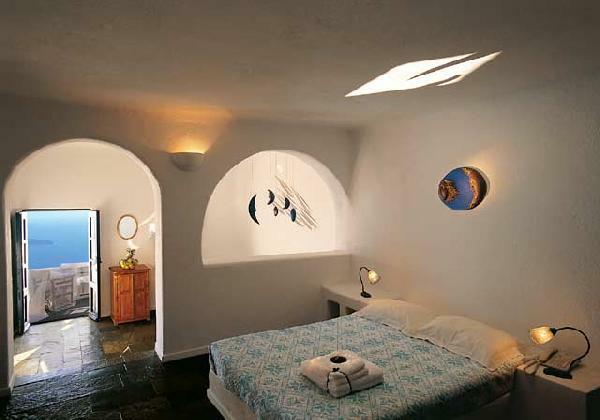 The 16 traditional apartments and 12 luxury suites showcase the Cycladic hospitality. Four new suites, added to the complex in 2007, each feature a private pool and a spectacular spa. You may choose among Standard, Superior, and Two Bedroom apartments and Senior Astra, Honeymoon Astra, and Deluxe Astra suites, offering a private pool or jacuzzi for a truly memorable experience. 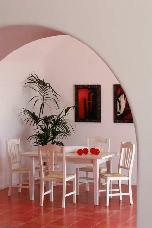 The exterior design and interior decoration of the each room echo the unique island landscape. Cut into the rock, the apartments feature warm tones and fine curios that compose a relaxing, soothing atmosphere. The facilities and amenities include kitchenette, mini bar, music, room service, cleaners, and pool bar. Astra Apartments & Suites will be happy to organize your wedding reception. Designed by architect Nikos Tsabelis, the guestrooms and outdoor spaces face the pool and the spectacular scenery of the Caldera. Relish the world-renowned Santorini sunset sipping a sparkling cocktail at the pool bar and watching the lush dusk colors reflect on the whitewashed houses. The serene setting of the Astra Apartments & Suites is only a twenty-minute-walk from the center of Fira, brimming with visitors, shops, and intense nightlife. Arguably, the best reason for you to select the hotel is its warm hospitality and personalized service. Behind every detail and painstaking choice is the driving force of the complex, your host and hotel manager, George Karayiannis. Είστε ιδιοκτήτης ή διευθυντής στο ASTRA SUITES; Εγγραφείτε τώρα για δωρεάν εργαλεία, που μπορείτε να χρησιμοποιήσετε για να βελτιώσετε την καταχώρησή σας και να συνδέσετε την ιστοσελίδα σας και το σύστημα κρατήσεών σας. WORST HOTEL EXPERIENCE OF MY LIFE! I stayed at Astra Apartments during my honeymoon to Greece and could not have been more disappointed. Our trip to Santorini was disrupted when the ferry from Mykonos was canceled due to windy conditions. There was absolutely no other option to get to Santorini that evening. When we were informed by our travel agent that Astra would not reimburse us for the missed nights stay we were VERY upset. I tried to call Astra from Mykonos and left a message for George, but he did not even return my call! Astra made no attempt to contact us or assist us in a timely arrival in Santorini. Every other traveler we met that was also in this situation was NOT CHARGED by their hotel. I did not expect this kind of treatment from a 5 star hotel with such positive reviews. 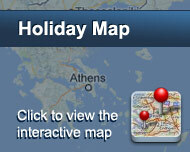 With all the riots and unrest in Greece today I would expect hotels to be extra accommodating to tourists. When we arrived in Santorini and I discussed the matter in person with George, he advised me that since I booked through a travel agent I would have to take this matter up with them. If you live in the New York area do not book your trip with Cloud Tours Inc. or any U.S. agent which is affiliated with the Greek travel agencies of Gats Travel or Horizon Travel S.A. They have all proven to be absolutely incompetent! George was aware of how upset I was over this circumstance and has not followed up with me at all since I have returned to the US. This is the same man that Frommer’s raves about. I think it is clear his service is entirely sub-par. Bottom line, DON’T stay at Astra, George is overrated and I would try the Santorini Grace which is right down the road and much more accommodating to travelers!